Happy Fourth of July! 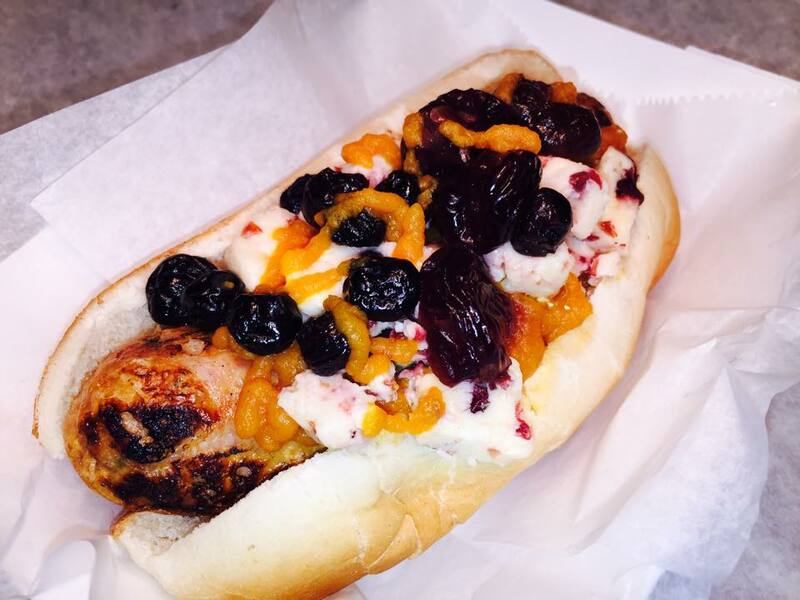 There isn’t quite any food that is more American than a hot dog and there isn’t quite any city that has hot dogs like Chicago. A Chicago hot dog institution that would garner insanely long lines, but for good reason, was Hot Doug’s. 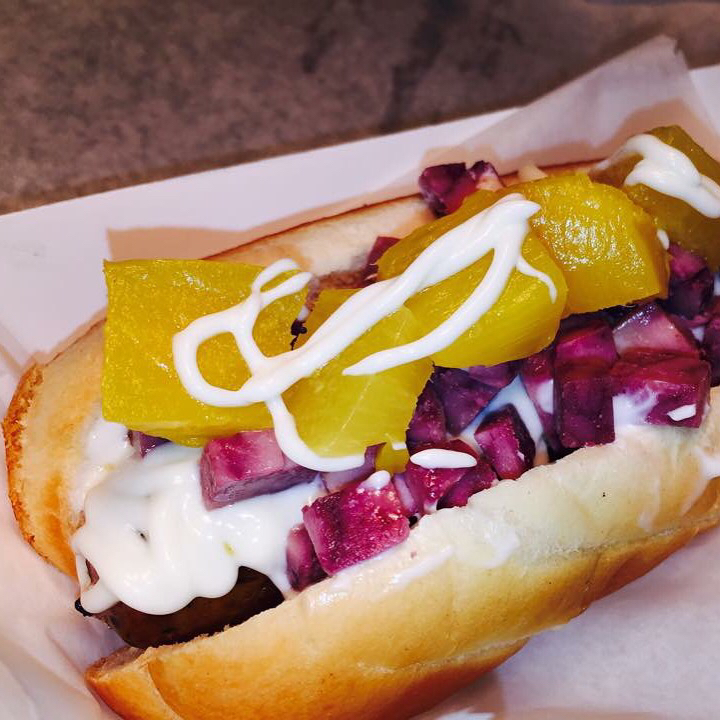 This shop out in the Avondale neighborhood of Chicago made creative hot dogs made with exotic meats and gourmet toppings. 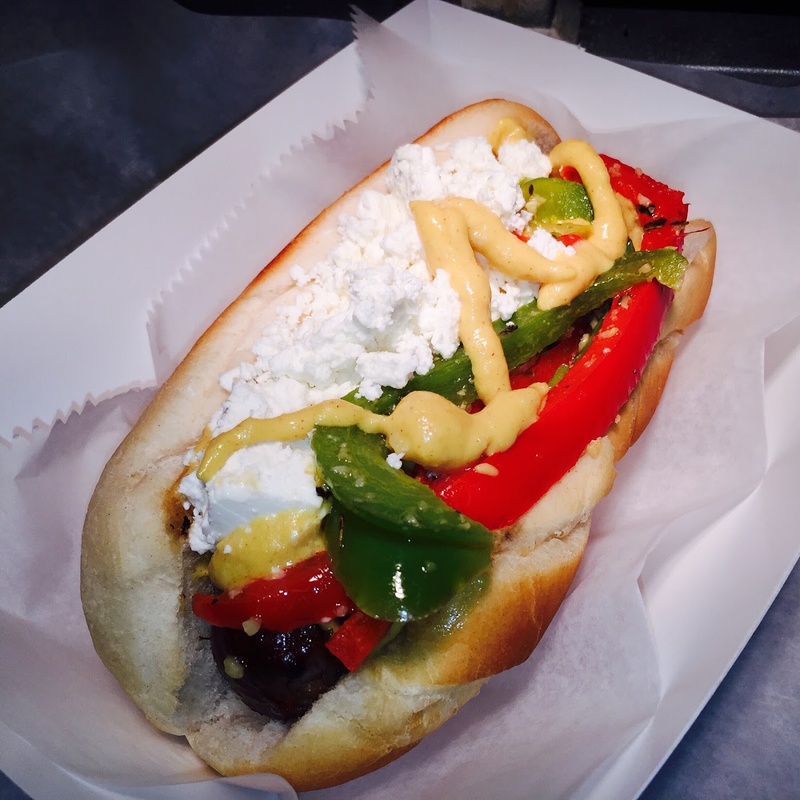 After the restaurants closure a handful of the staff that worked at Hot Doug’s decided to open up a similar hot dog and sausage shop in Andersonville and so Hot “G” Dog was born. Hot “G” Dog has some wacky yet delicious hot dogs, but without the crazy lines that Hot Doug’s had. The Hot “G” Dog interior is fairly typical of a hot dog shop with your basic counter, tables, and seats scattered around an open floor plan. Perhaps a downside for some is that the restaurant is cash only, but there are plenty of ATMs nearby the shop if you forget to bring those dollar bills. 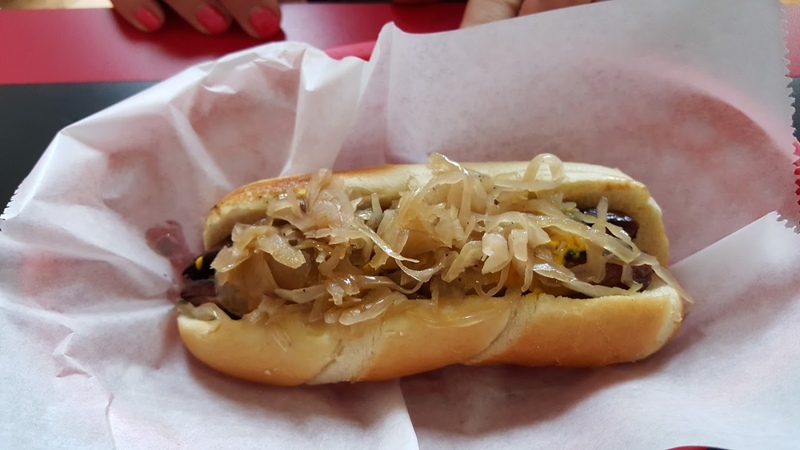 Many of the famous hot dogs that could be found at Hot Doug’s are on the menu at Hot “G” Dog, including the one and only duck sausage. My good friend Pete enjoyed Hot Doug’s and had wanted to try Hot “G” Dog for a while, so he took me up to this fairly new shop for some mouth watering sausages and fries. Pete got an order of the duck fat fries for us to share. As the name suggests these fries are cooked in duck fat to give it a slightly richer taste than normal fries. 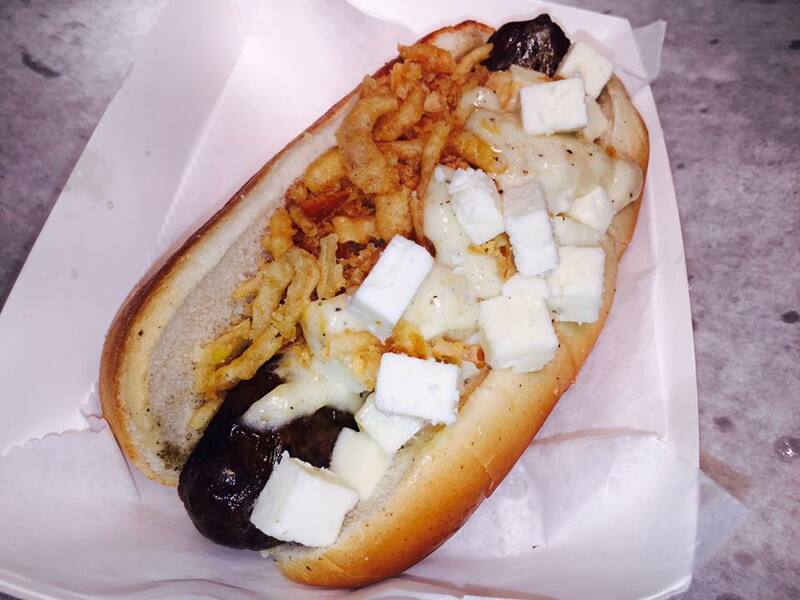 The fries were crispy but not overcooked making them a dynamite side to go with the scrumptious sausages. 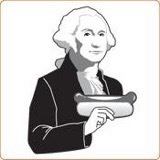 There is huge lineup of hot dogs and sausages at Hot “G” Dog so trying them all will take multiple visits unless you happen to be a champion hot dog eater like Joey Chestnut. 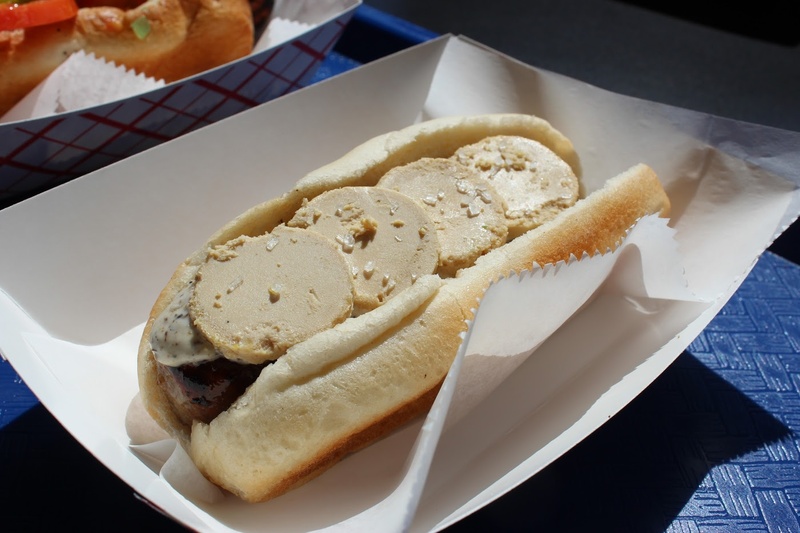 On this visit I went with their most well known duck sausage, which is topped with foi gras, truffle aoli, and salt! The rich and creamy foi gras along with the tasty truffle aoli made this duck sausage a stand out and one that I will definitely order when back again. I also ordered an elk sausage which was topped with onion and peppers. The elk meat had a nice gamey and smoky flavor with some hints of spice from the peppers. It was a solid choice but it didn’t beat the bison sausage that Pete ordered. 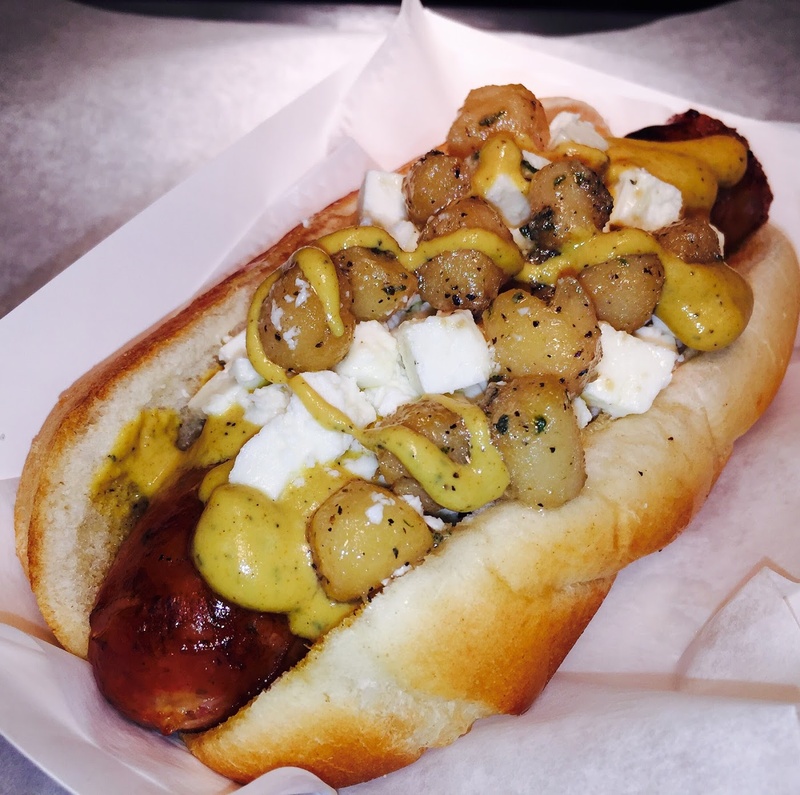 This sausage was topped with capers, aoli, and some honey. The bison meat was juicy and flavorful making it a favorite. 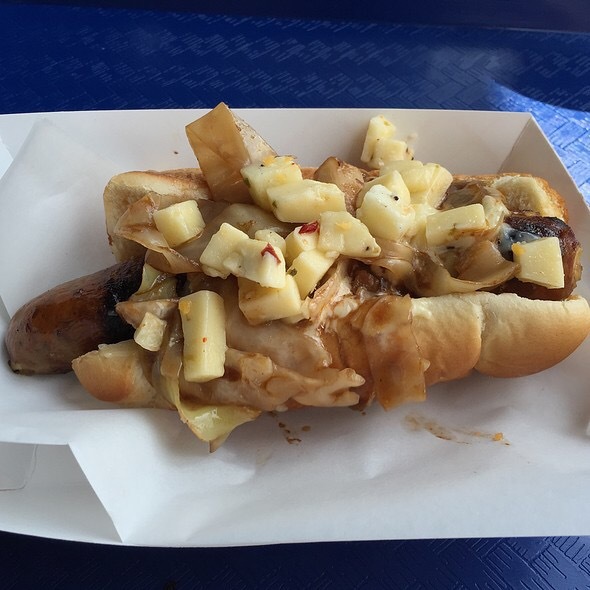 Depending on when you head over to this mouth watering meat shack you may find different assortments of sausages including pheasant, alligator, kangaroo, wild boar, venison, crawfish, and kielbasa. 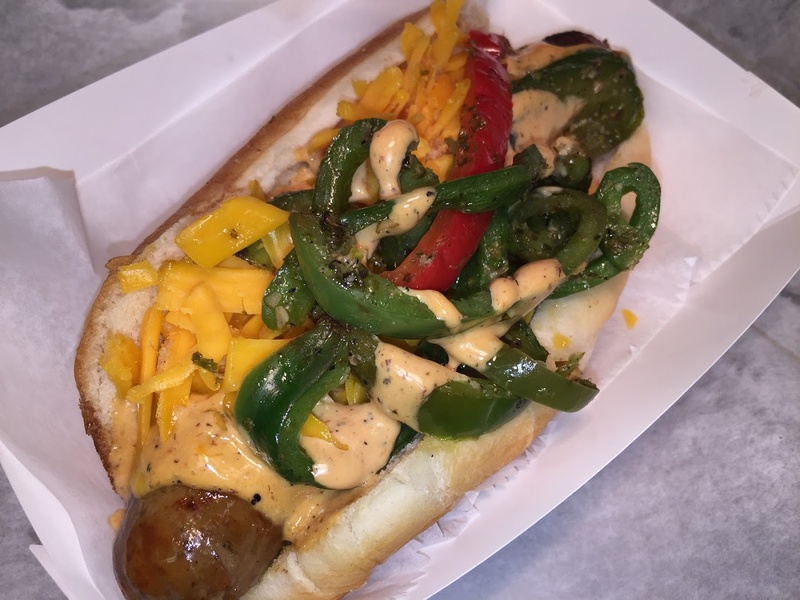 While all of their sausages may not be as good as the almost perfect duck sausage you are sure to find some extremely interesting and tasty wieners, as pictured below from Zagat (I quite honestly have no idea what each one is but damn do they look good!). 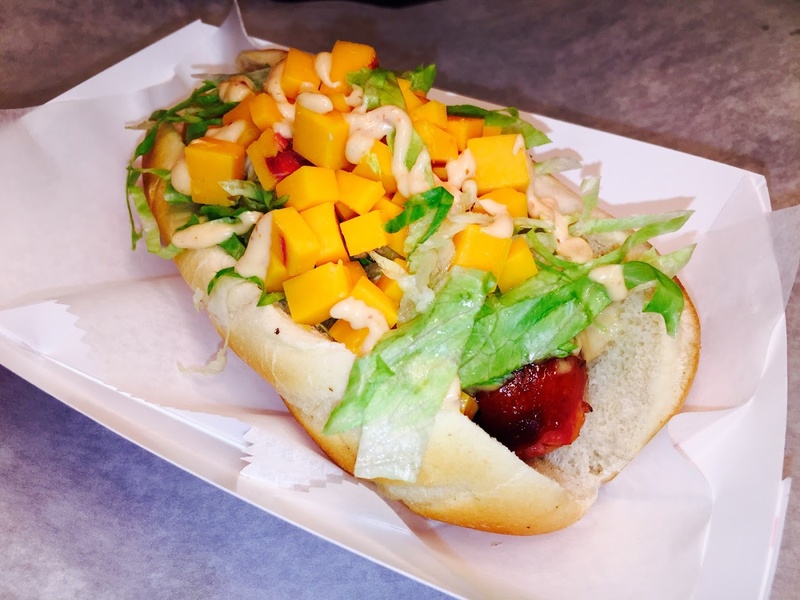 Hot “G” Dog is a perfect spot for a meal or a snack, especially when it’s nice out and you can stroll around in the beautiful and family friendly Andersonville neighborhood. 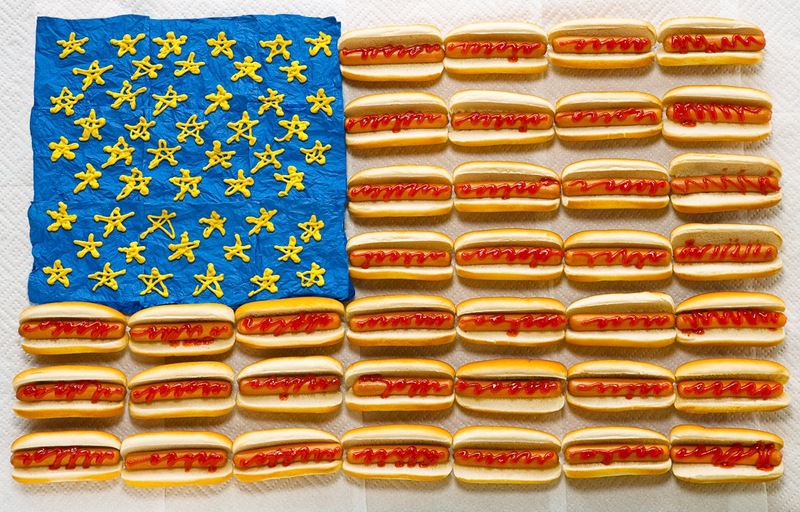 As our founding fathers intended us to do, make sure to stuff your face full on this anniversary of America’s independence. 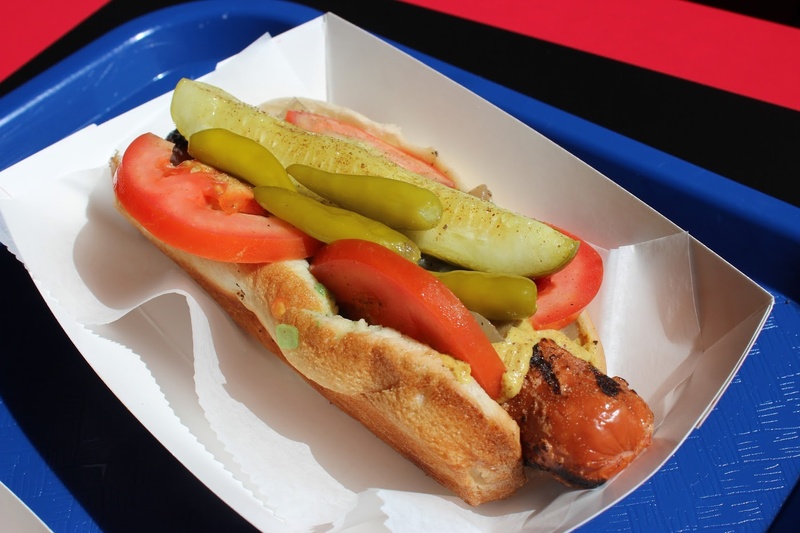 But as you eat your wieners and other delicious hunks of meat make sure to write down Hot “G” Dog on your list of must visit food joints in Chicago. 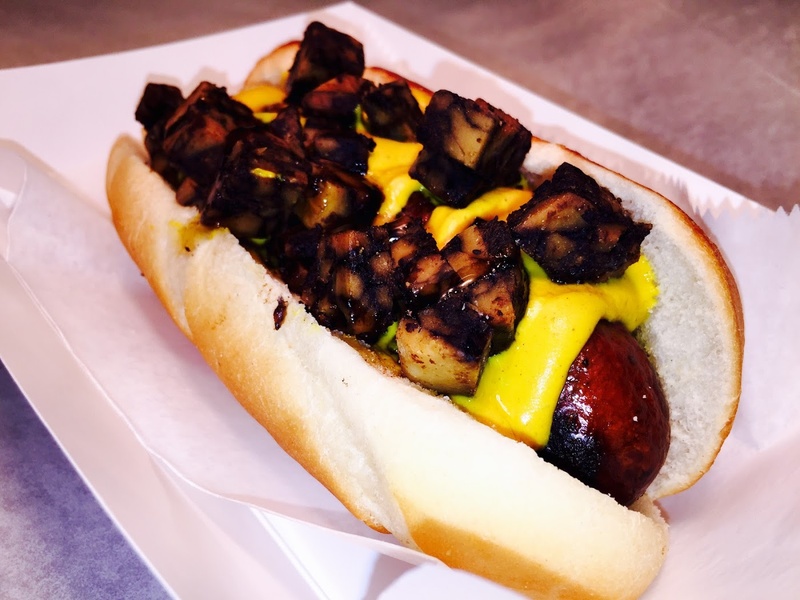 You’ll be in meat heaven and will feel like the ultimate American!